Premier Aquatics is happy to serve the Laguna Woods Village community! 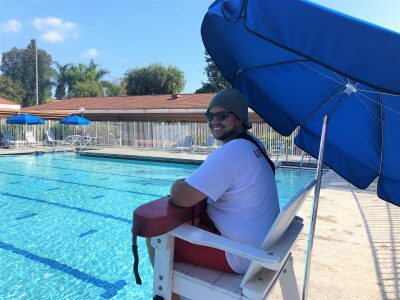 With lifeguards stationed at all five pools year-round, Premier’s highly trained team offers Laguna Woods Village residents peace of mind and a safe aquatic environment. Whether you are enjoying the pool for vigorous lap swimming, light fitness, or relaxation, Premier’s lifeguards are always ready to provide a friendly greeting and a helping hand. 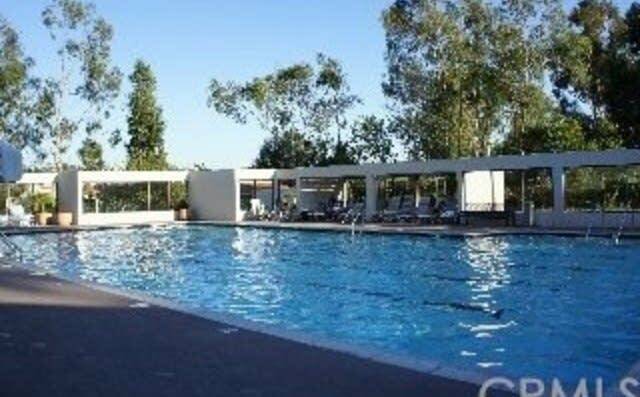 Laguna Woods Clubhouse 1 Pool is heated comfortably at 84 degrees and has no lane lines. This facility offers a heated spa and is open daily from 7:00 am to 6:00 pm. Laguna Woods Clubhouse 2 Pool has the coolest temperature of the five pools. Lanes are available at specific hours, so serious lap swimmers are best served at this pool. 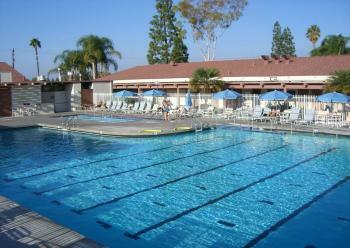 This pool is open daily from 6:00 am to 6:00 pm (Wednesdays 9:00 am to 6:00 pm). Please note that children’s swim takes place at Pool 2 from noon to 2:00 pm. 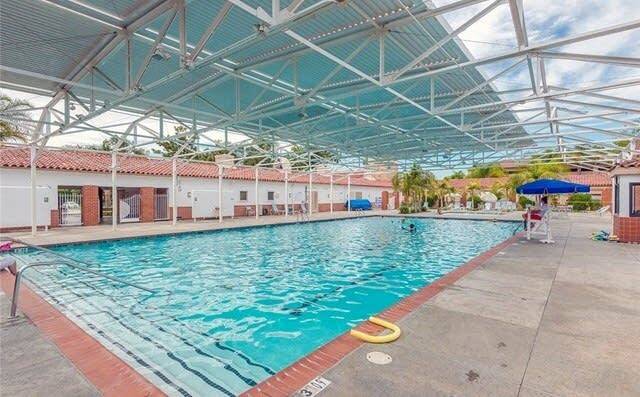 Laguna Woods Clubhouse 4 Pool is the warmest pool heated to 86 degrees. Handicap access via ramps is available in both the pool and the hot pool. This facility is open daily from 7:00 am to 10:00 pm (Fridays 9:00 am to 10:00 pm). 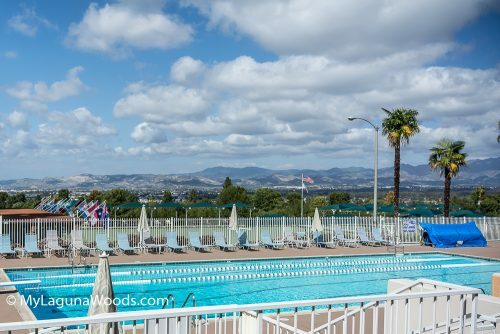 Laguna Woods Clubhouse 5 Pool is a hybrid pool that contains both salt water and chlorine, making it optimal for swimmers with sensitive skin or those who want a little extra buoyancy. Pool 5 is a shallow pool with the deepest area at 5 feet in the center and includes a hot pool with handicapped access via ramps. Lane lines are available during specific hours. This facility is open daily from 6:00 am to 6:00 pm (Thursdays 9:00 am to 6:00 pm). 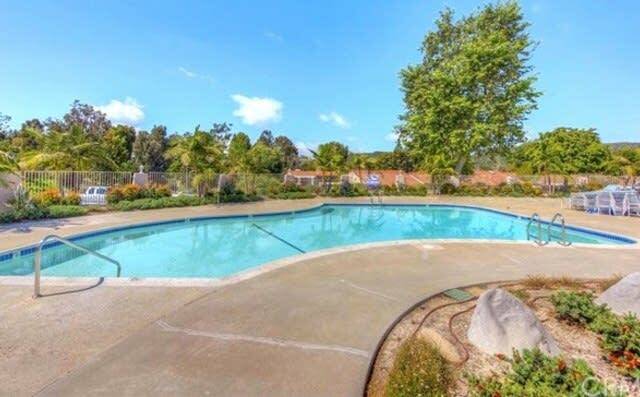 Laguna Woods Clubhouse 6 Pool is a smaller, backyard style pool usually heated between 82-84 degree. This facility is only open during the summer months.